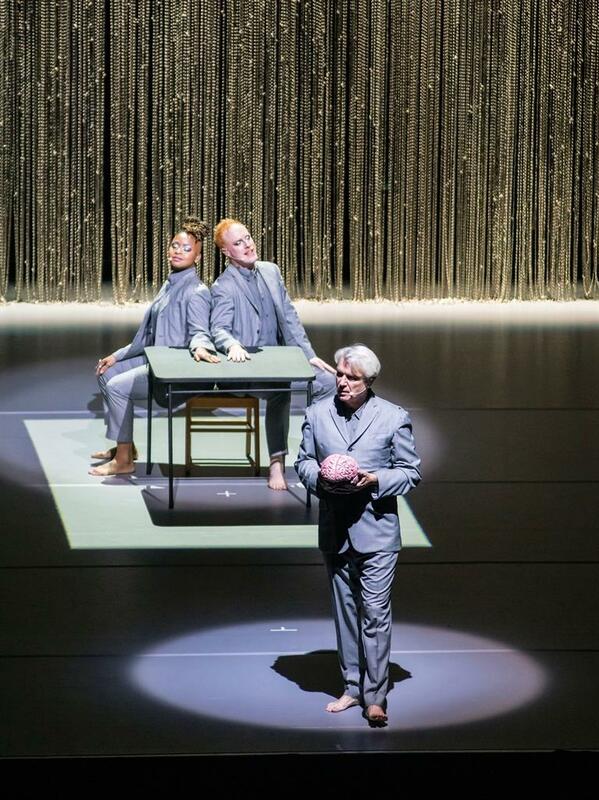 DAVID BYRNE couldn’t have done more to whet fans’ appetites for his American Utopia world tour. The former Talking Heads frontman promised his most ambitious show since Stop Making Sense, the band’s seminal 1984 concert film that cemented his status as post-punk’s premiere art-rock aesthete. And on the ambition front, he wasn’t about to disappoint: like Stop Making Sense, the American Utopia show was designed for maximum visual impact. 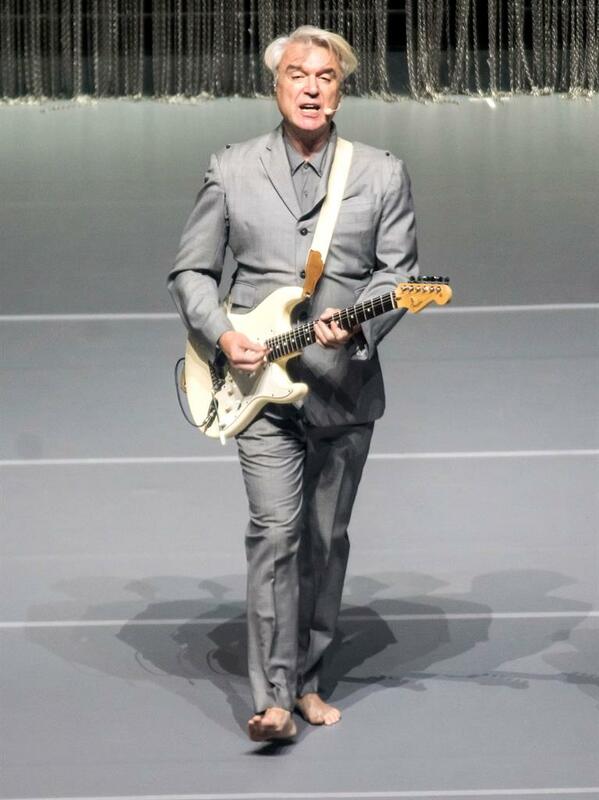 Byrne, barefoot in a grey suit, began the show by singing Here while sitting at a desk and gesturing at a model brain as though leading an anatomy class. Hundreds of dangling chains rose to form curtains around the stage perimeter, and gradually band members appeared in outfits matching their leader’s. 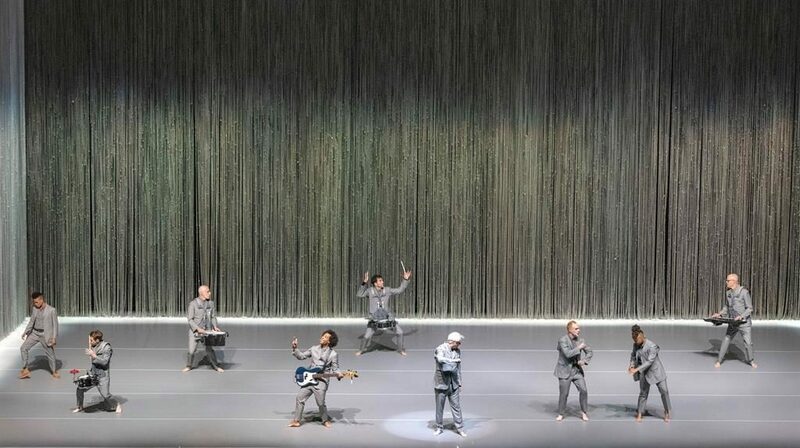 Thanks to inventive use of wireless mics, the stage was kept free of speakers, cables and the usual clutter, leaving more room for Byrne’s oddball choreography. Even the keyboard player had his instrument strapped to him for maximum mobility, and individual drums and percussion were divided between six people. Byrne hopscotched through I Should Watch TV while his band posed in lunge positions, and spent Once In A Lifetime pratfalling haphazardly. I Dance Like This began with everyone lying on the floor, and the musicians almost disappeared entirely for Doing The Right Thing, sticking their hands through the curtains so only their disembodied instruments could be seen. This showmanship, plus some astonishing musicianship, were the backbone to an unimprovable setlist that ranged from a delirious version of Talking Heads’ I Zimbra, to a fearsome Burning Down The House, to a powerful cover of Janelle Monáe’s #BlackLivesMatter protest chant Hell You Talmbout.